While the Academy Awards remain enveloped in a crisis over the diversity of its nominees, the 22nd annual SAG Awards on Saturday presented a stark antidote to the rancor that has overwhelmed Hollywood's awards season. 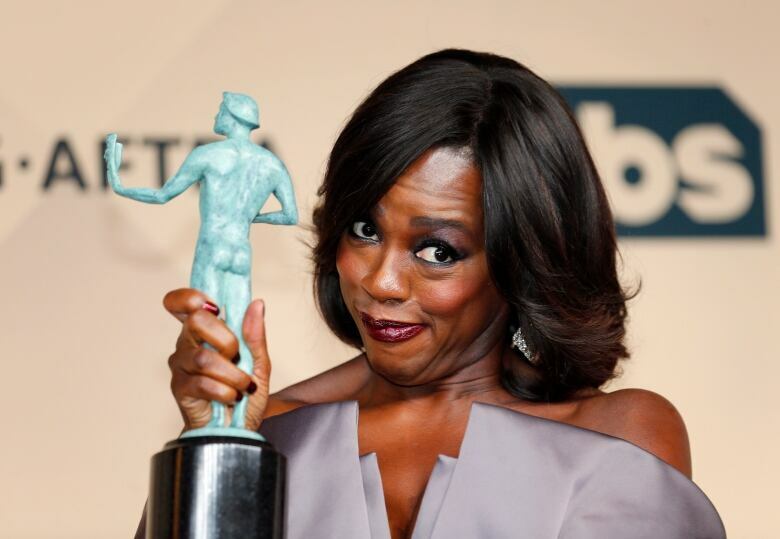 The Screen Actors Guild Awards were not so white. 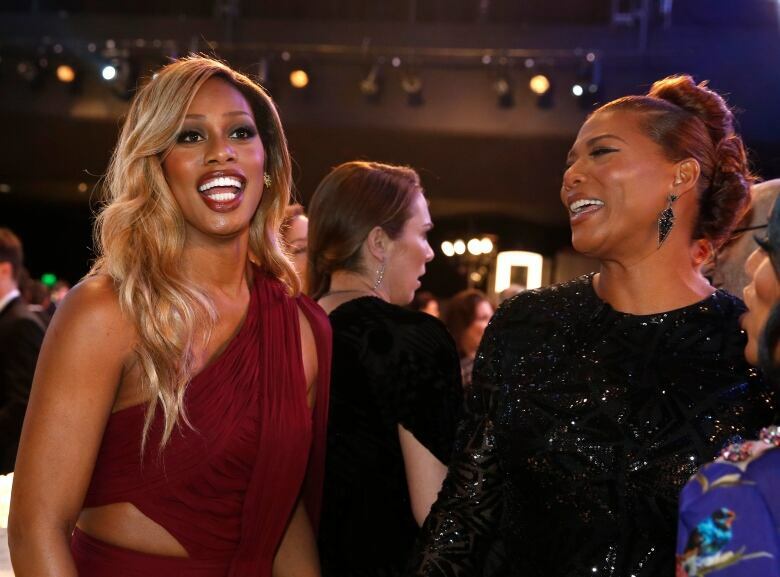 Awards were handed out to Queen Latifah, Uzo Aduba, Viola Davis and Idris Elba (twice), as the actors guild cast a loud vote in favour of diversity on big and small screens. "Ladies and gentlemen, welcome to diverse TV," said Elba in his third trip on stage as a presenter. 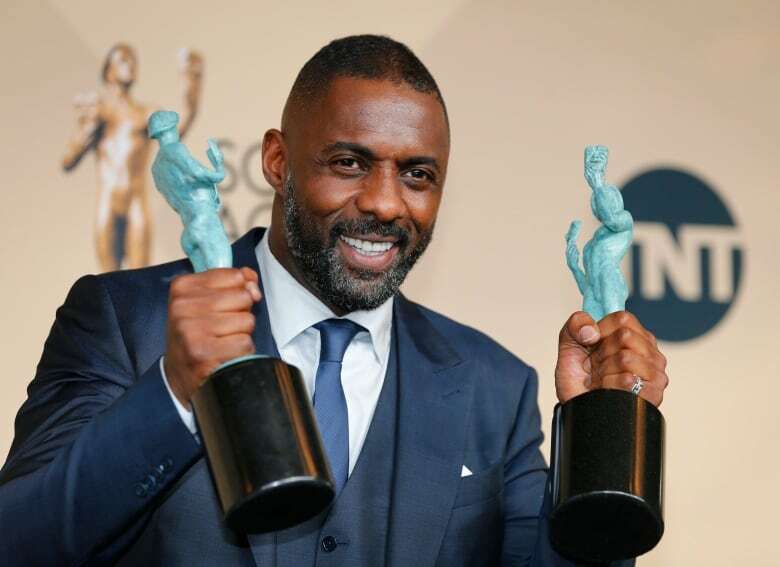 His first two were to accept awards for his supporting performance in the Netflix child soldier drama Beasts of No Nation and for his lead performance in the BBC miniseries Luther. The night's top honour, best ensemble in a film, went to the newspaper drama Spotlight, which came into Saturday badly in need of some momentum. The ensemble award had seemingly come down to Spotlight or — the film with the wind at its back — Adam McKay's high finance tale The Big Short, which last week took the Producers Guild's top award. "No way," said Mark Ruffalo, one of the film's stars. He praised the writer-director Tom McCarthy and co-writer Josh Singer for their purposeful accuracy in penning the journalistic procedural about the Boston Globe's reporting on sexual abuse by Catholic priests. The two, he said, "took every single opportunity to tell the truth. They didn't take any cheap way. It was always the truth." Elba made no direct reference to the crisis that has swept through Hollywood in the last two weeks — which might have been far less severe had he been nominated by the Academy Awards, as many expected. But it was on the minds and tongues of seemingly everyone in Los Angeles' Shrine Auditorium on Saturday night. 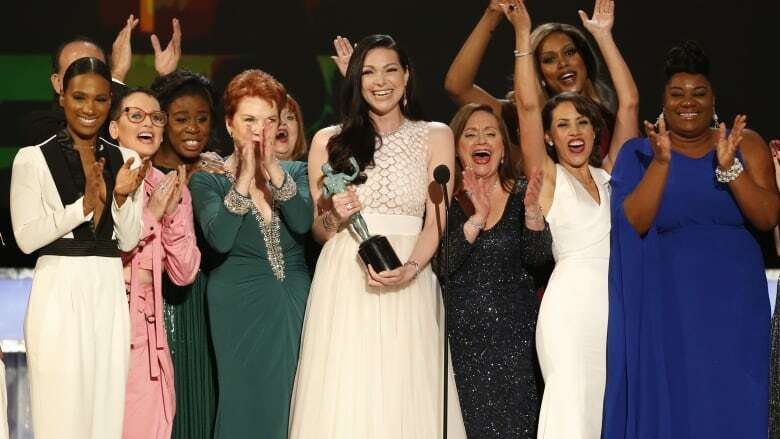 Accepting the most outstanding ensemble award, comedy series, for Orange Is the New Black, co-star Laura Prepon gestured to the cast of the prison comedy standing behind her. "Look at this stage," said Prepon at Los Angeles' Shrine Auditorium. "This is what we talk about when we talk about diversity." 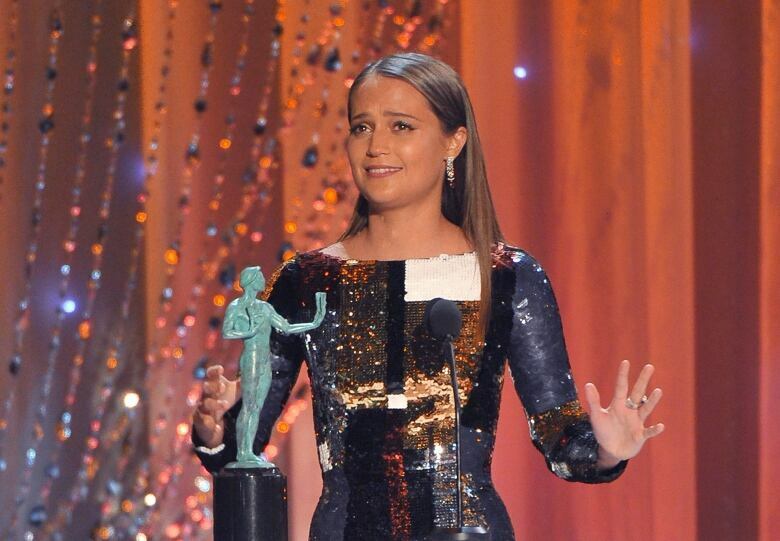 Individual actor SAG winners the last three years have exactly corresponded with eventual Oscar winners, which meant that SAG winners Leonardo DiCaprio (The Revenant), Brie Larson (Room) and Alicia Vikander (The Danish Girl) all appear to have cemented their status as favourites. Each won, as expected. 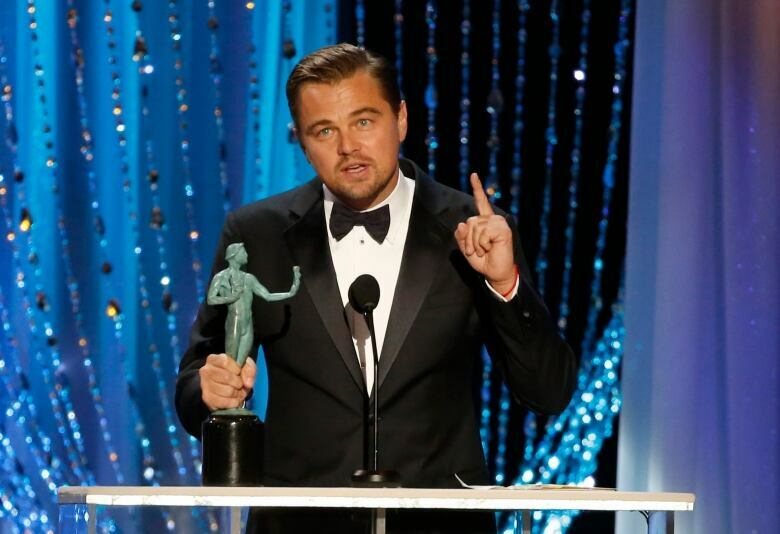 "For any young actors out there, I encourage you to watch the history of cinema," said DiCaprio, who is expected to land his first Oscar after four previous nominations. "As the history of cinema unfolds, you realize that we all stand on the shoulders of giants." But supporting actor will differ this year. The category's perceived favourite is Sylvester Stallone for the Rocky sequel Creed. Stallone, though, wasn't nominated by the screen actors. Actors make up the largest branch of the Academy of Motion Pictures Arts and Sciences, which is why the SAG Awards are a closely watched harbinger of the Oscars. But the Screen Actors Guild is massive by comparison: some 160,000 members to the academy's 6,000-plus. Voting for the SAG Awards, which concluded Friday, also overlapped with the widespread debate over the industry's inclusiveness that followed Academy Awards nominations that resurrected the #OscarsSoWhite backlash of last year. 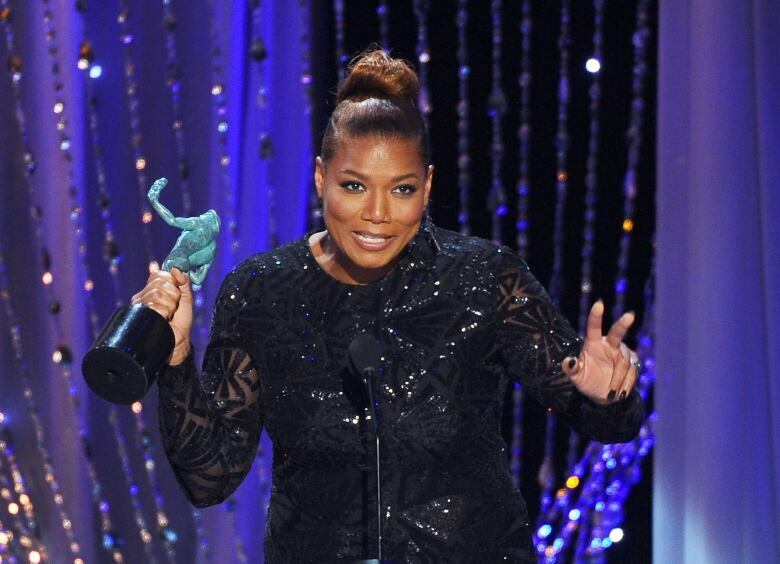 Latifah gave one of the evening's most stirring speeches while accepting the award for most outstanding female performance in a TV movie or miniseries for HBO's Bessie Smith tale Bessie. "I hope that anyone out there who does not come in the package that people say you should, keep fighting for it," said Latifah. "Flip those rocks over. Keep pushing, keep turning, you can do it. You build your own boxes, not people. So knock that thing away and do you!" Backstage, Latifah said diversity was good business: "Hopefully our business will continue to supply the demand that people are asking for. The people want it. Give it to the people." 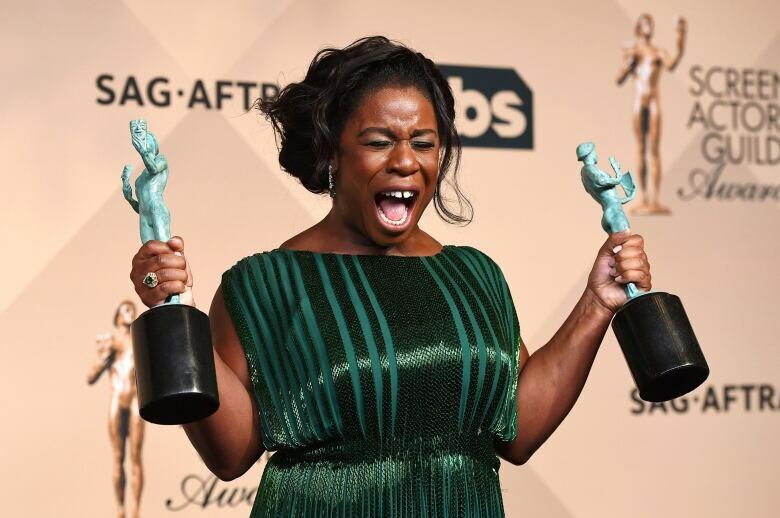 Aduba, accepting her second straight SAG Award for best actress in a comedy in Orange Is the New Black, didn't address the topic straight on. But she praised creator Jenji Kohan for making "a show that reflects and represents so many people." For the third time, Downton Abbey won best ensemble in a drama series. 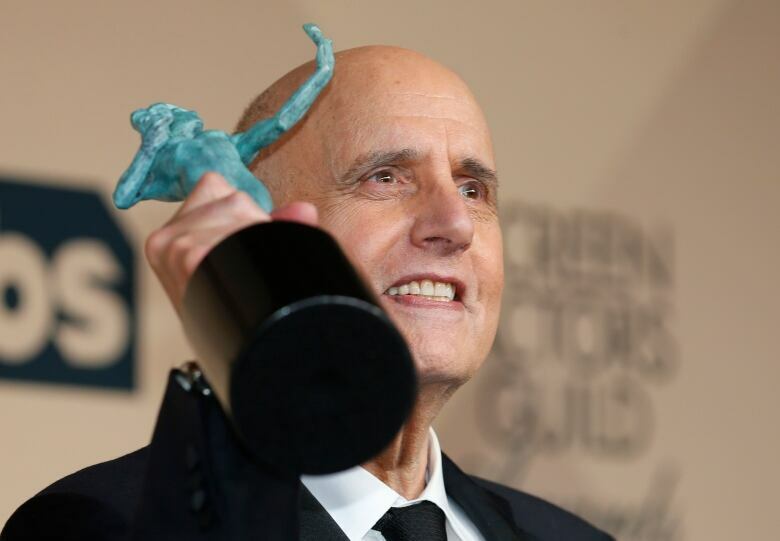 Best actor in a TV comedy went to Jeffery Tambor for the acclaimed Amazon series Transparent. Kevin Spacey won his second SAG Award for House of Cards — another win for Netflix on the night. The great comedian Carol Burnett accepted the SAG lifetime achievement award from presenters Tina Fey and Amy Poehler. Recalling the uphill battle she faced, Burnett remembered being warned that "comedy variety is a man's game." She then dramatically shook her head and mouthed: "No." Surveying the room, she concluded with a tug of the ear and her signature phrase: "I'm so glad we had this time together."